The final two may not look as aesthetically pleasing, but they were what I was going for. 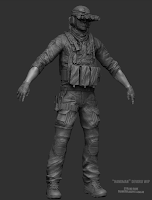 Worked on the body armour for the past few days. It's a bit of an on-and-off project, but I'm determined to finish it. The mag-pouches are a bit hit and miss, but that's alright. I also created a PRC-343 radio to fit in Hangman's radio pouch. Some more detailing! Finished the set of boltcutters and some of the smaller details. The fabric on his backpouch doesn't hang with me (no pun intended). Gonna change it around some. 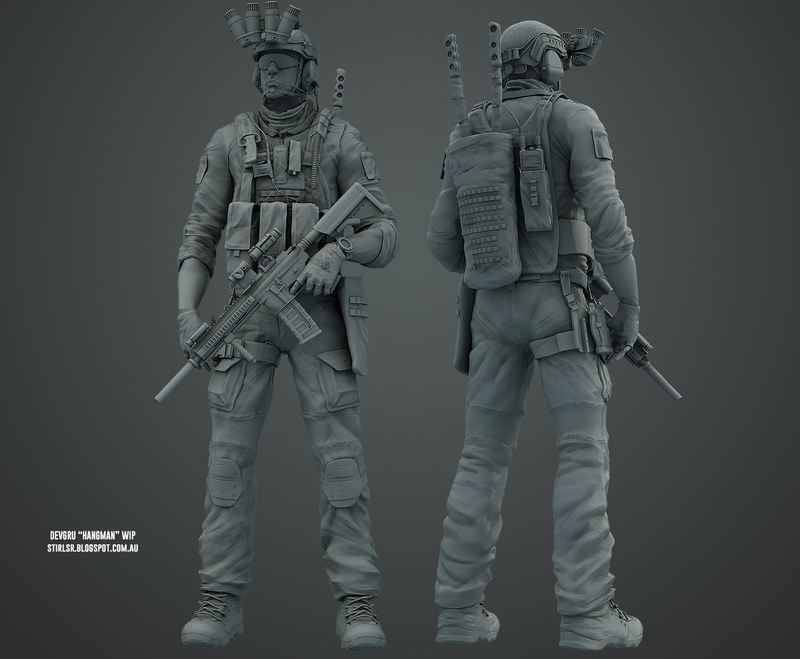 Here's a further update on the model. 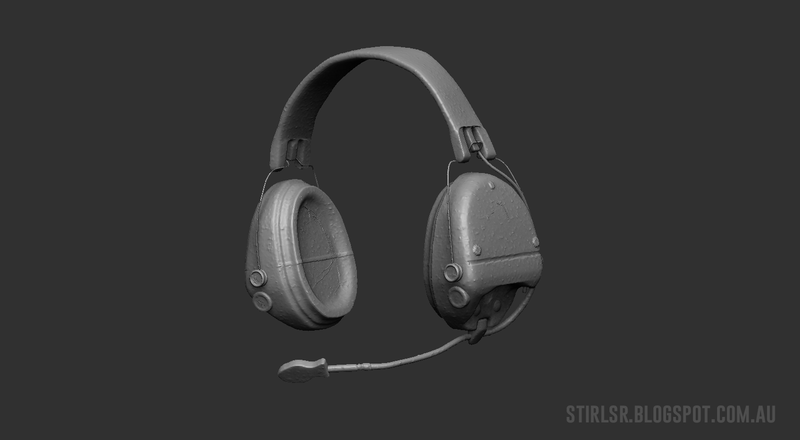 I created a Z-111 headset and Ops-Core Ballistics helmet. 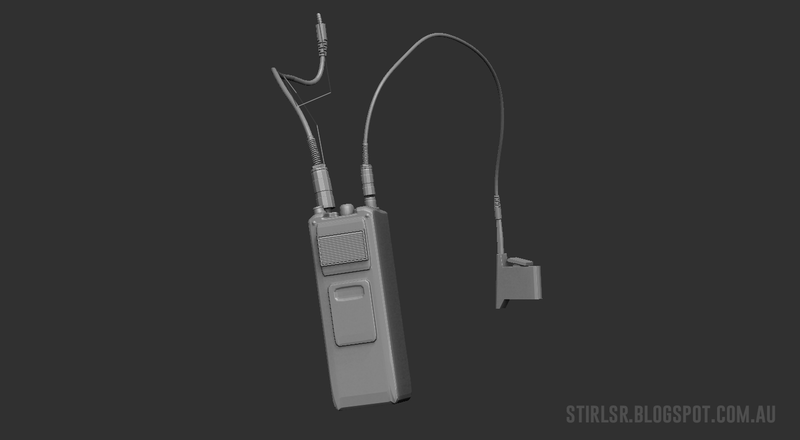 Also uploaded my radio/comms model. 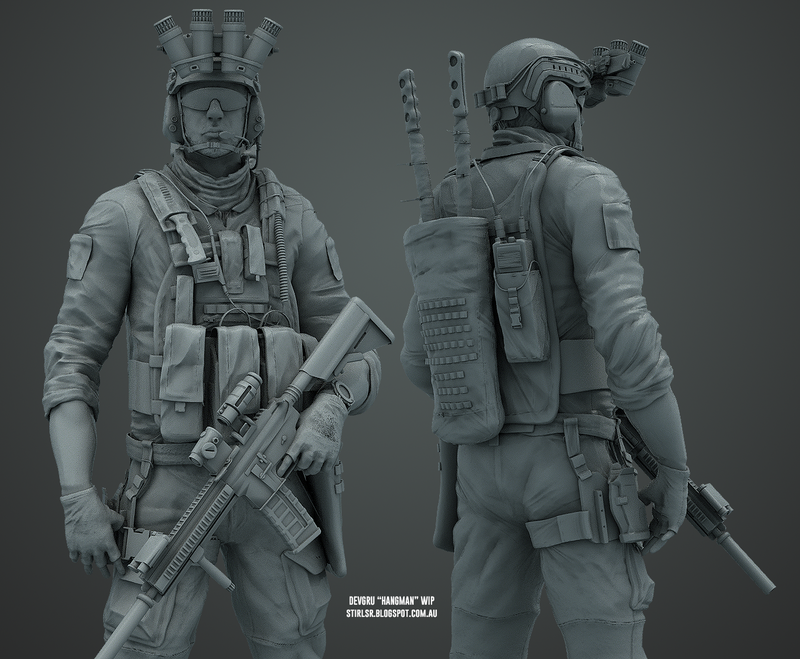 All of these were modeled in maya and then imported into zBrush for detailing/remeshing. The helmet took a little bit longer because of the complex shapes involved. 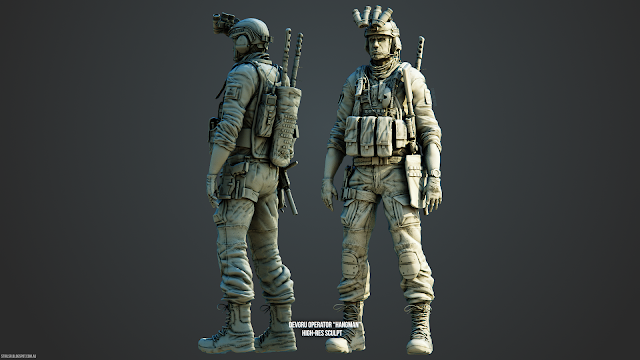 Here's a cavity-render of the model without the man. Sorta like a ghost! The knife pouch is something I'd like to change. 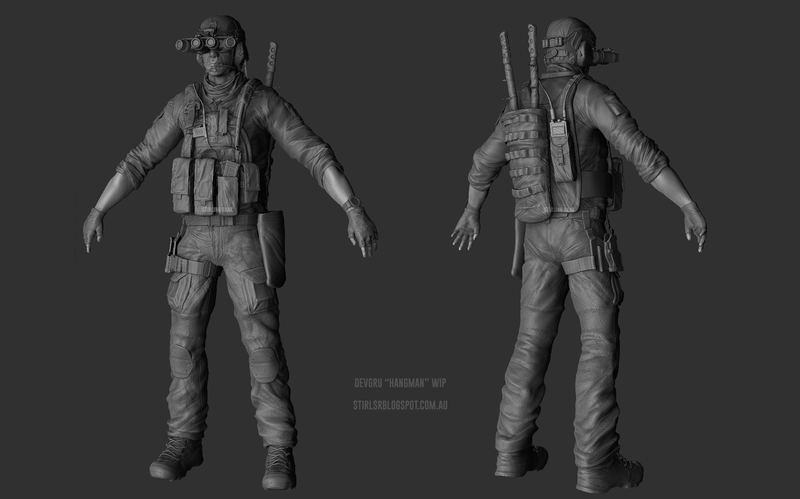 Perhaps to something hardsurface like the thigh holster. You can see this in better detail below. The aforementioned SERPA holster can be seen here. 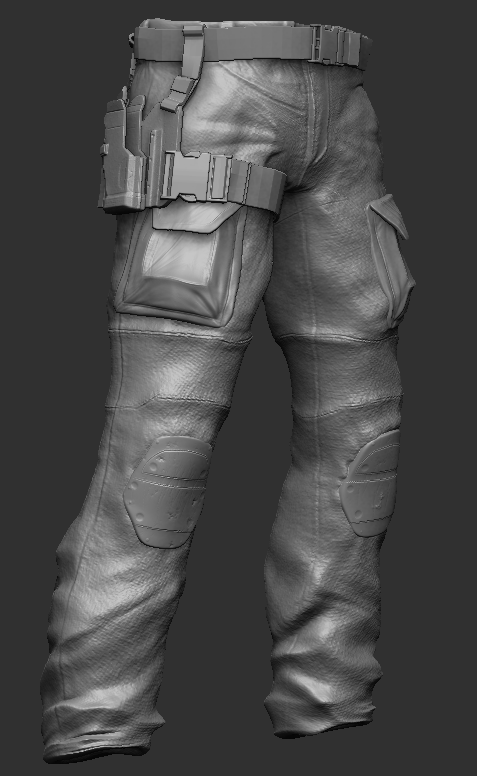 Pants are looking a lot nicer, although I need to push the folds some more. 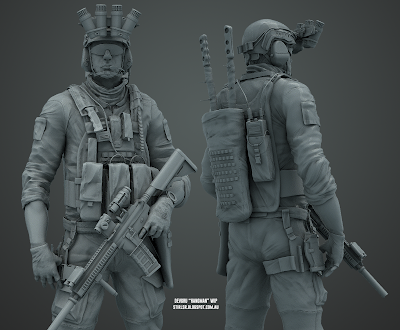 I've definitely come a long way since the start of this year, especially if you look down at my "rebel" model. Sheesh. That said, this isn't perfect and I still have a ways to go. Not bad for a kids work, though! 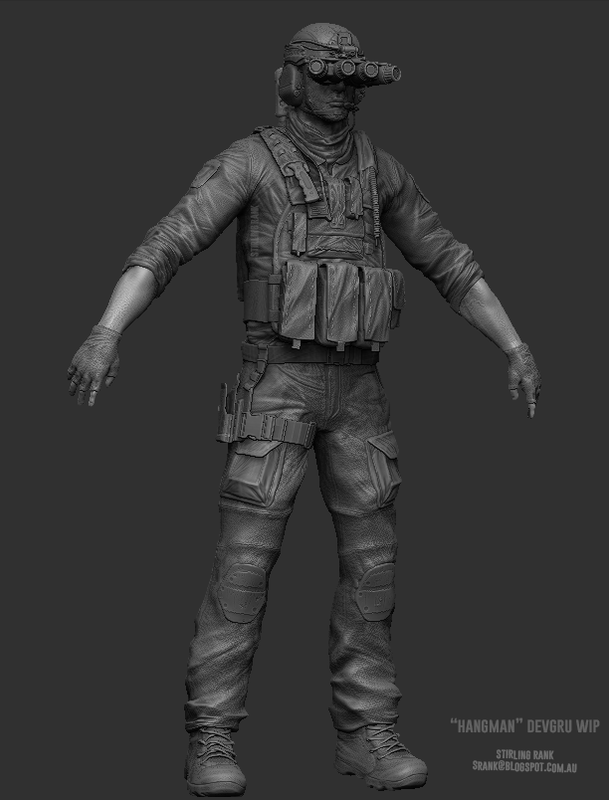 The entire sculpt is clocking in at 5-6 million polygons (quads) at the moment. That's decent considering the sheer amount of ztools I'm using and the resolution at which I'm sculpting at (about 5 subdivision levels per object). I'll upload a spoken work-in-progress sometime in the next few days. 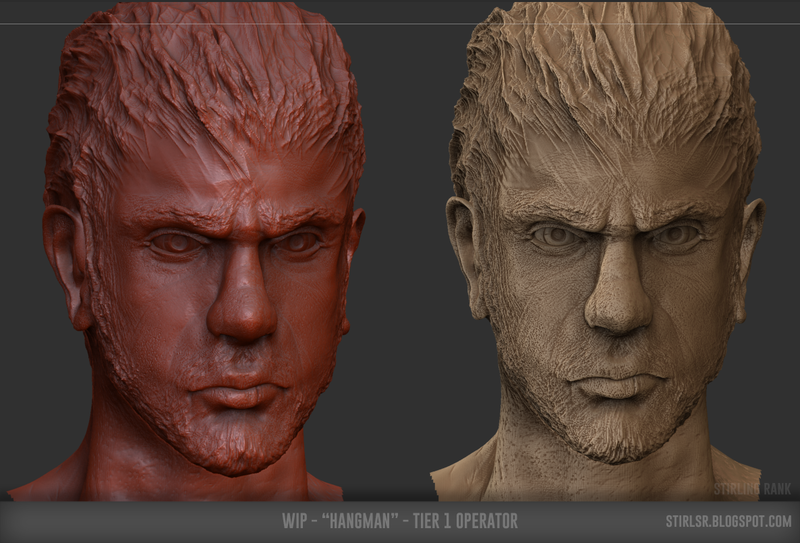 Just showing my workflow and some of the assets developed. Namely the helmet, holster, and headset. Boy do I love those assets. Probably going to chuck them up on TurboSquid for free once they're retopologized and textured. Another WIP shot. 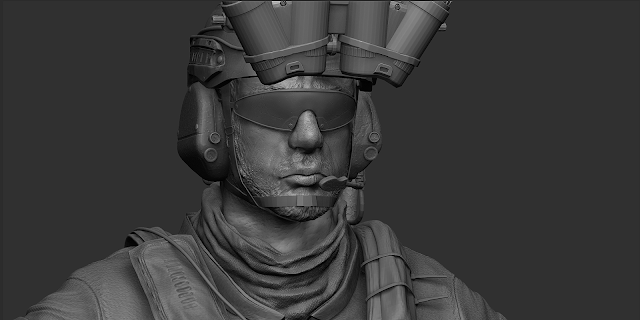 Finished the tactical shades and some NVG monoculars. So, I looked at these monoculars. They aren't the best I can do. I need to really push myself on this model. So I created some GPNVG-18s. A real three-hour job, from reference to finish. It has taken a while to get to this point. 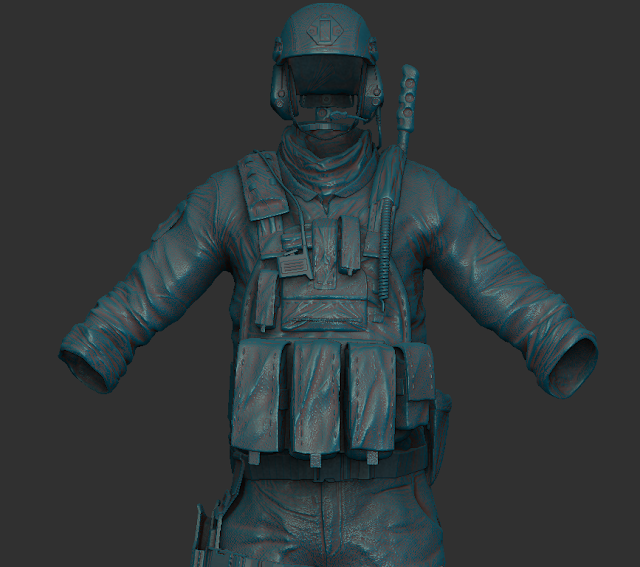 I still need to fix the pants and stuff. Almost done. Just gotta add some magazines to the uniform and some more patches. Then it's onto the guns. 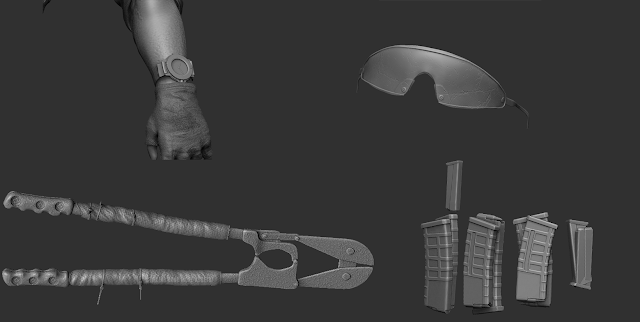 In the first image you can see the new watch and updated folds/uniform. He's definitely a lot more fleshed out now! Here you can see the updated chinstraps and some other neat stuff like mags in their respective pouches! I developed a bunch of new assets over the last few days. I also fixed up some old ones. Here we have the Traser NATO watch, some nice looking tactical glasses, the makeshift boltcutters, and some magazines for Hangmans HK416 and P228. I have begun work on the HK416. 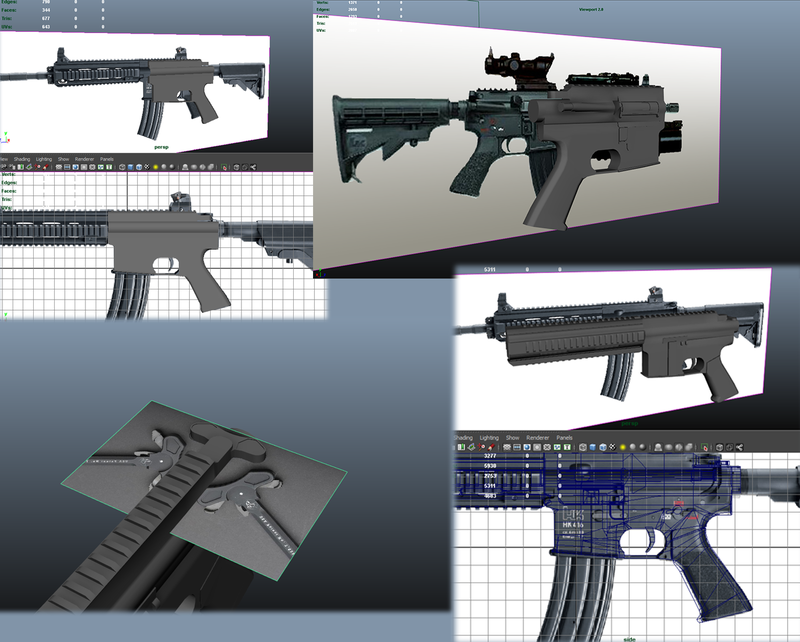 The weapon is done, now all I have to do is the attachments. To cap this guy off I'll upload a final render. This has changed his look slightly, namely to make his legs look a bit more interesting.